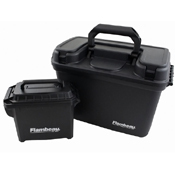 This Flambeau Tactical combo pack is a great way to keep your loose ammo, tools, and tactical gear safe from the elements. 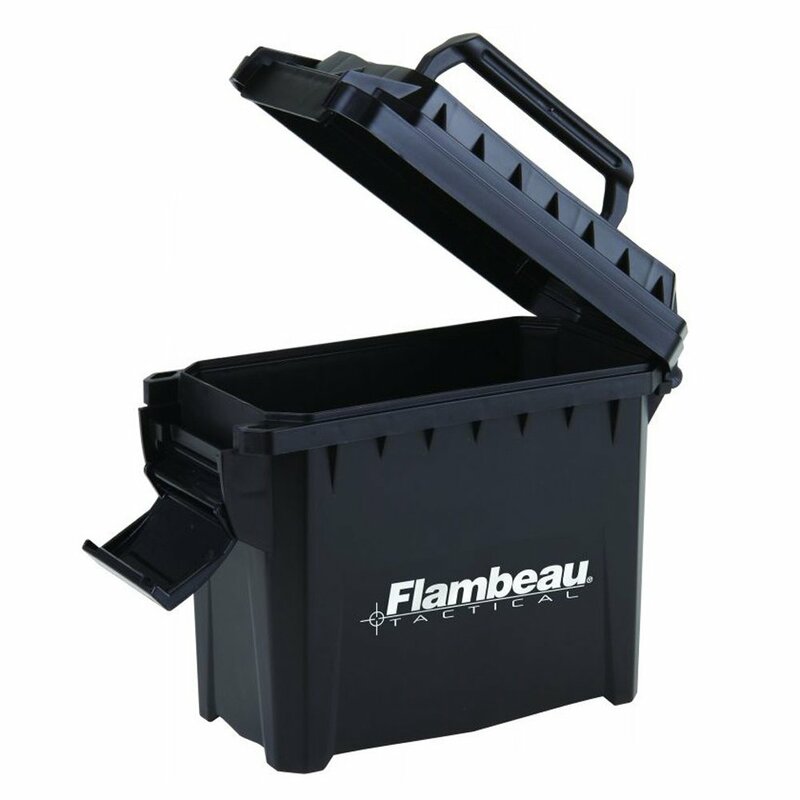 The 14" Dry Box comes with a removable tray as well as the Mini Ammo Can packed snuggly inside. Both containers have a durable polymer construction with OTC latch lids sealed by a water-resistant gasket. 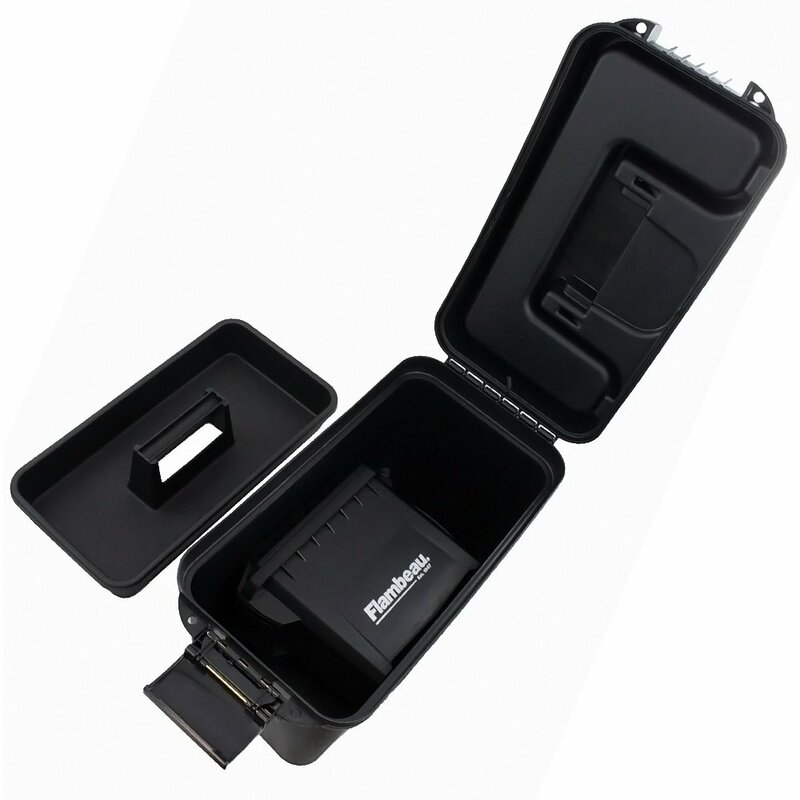 This dual storage kit is great for range bags, hunting, and camping trips. Why choose this dry box? Dry boxes and dry bags are both great ways to keep your gear dry when working outdoors in or around water. Dry bags are flexible, which provides more storage capability, but they also make it difficult to access one item at a time. Dry boxes make it easy to organize your supplies, but they are heavier and require more room when transporting.